Made of high quality, durable resin stone material. Figurine measures approximately 2.75 x 2.25 inches. 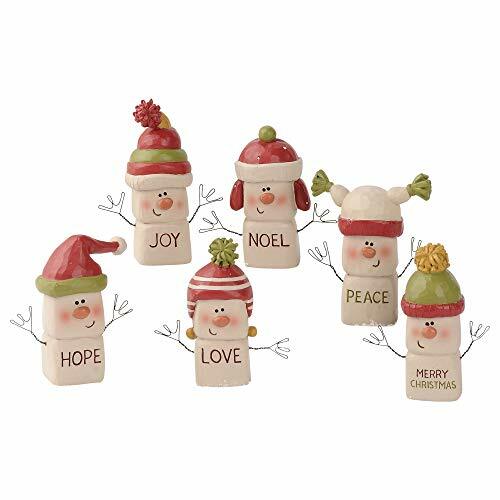 Features 6 marshmallow men sentimented with the words Joy, Noel, Peace, Merry Christmas, Love, and Hope. Perfect for displaying on a shelf, tabletop, or mantel as a decorative statement piece. Ships in protective packaging.